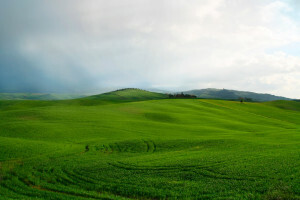 Montepulciano is situated in the south area of the senese territory which includes the Val d’Orcia, Val di Chiana andCrete Senesi. 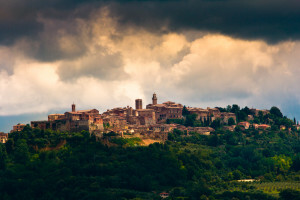 So people who spend the night in Montepulciano can reach in a few minutes the must important artistic towns and places such as: Siena, Firenze, Cortona, Pienza, Montalcino,San Quirico d’Orcia, Orvieto and Trasimeno Lake, LIPU’s oasis of Montepulciano lake and some Etruscan ancient tombs in Chiusi.From an artistic point of view, Montepulciano, called “The pearl of the Rinaissance” for the works of the must important architects, painters and sculptors of XVIth Century, offers the possibility to give oneself up in a rich and powerfull past. Wonderful landscape surrounds Montepulciano with its hills, vineyards, lakes, olive groves, all cottages and its old and pleasant villages. One of the must famous wine in the world rises from these vineyards and it is called Vino Nobile of Montepulciano. This wine, together with the Brunello of Montalcino, theChianti of Siena and Florence, the chianina beef, thepecorino cheese of Pienza and the olive oil promote the gastronomic development of this territory. Tourists can taste the typical dishes and red famous wine in the many restaurants and typical tavern situated in the old town of Montepulciano. So we are waiting for you in Montepulciano, to discover again old and lost tastes.